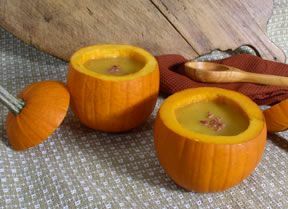 This soup can be made with any type of fall or winter squash (pumpkin, acorn, butternut, etc) or you may use more than one variety of squash. Sauté onion and butter over low heat until onion is soft. Add squash and cook for 3-5 minutes. Add vegetable stock and continue cooking for about 15 minutes or until squash is slightly soft. 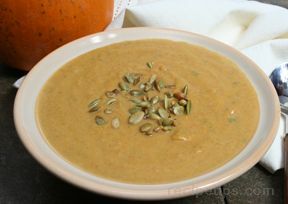 Transfer to food processor and blend until smooth (it helps to have an extra pot). Return mixture to stove, add sugar, salt and cream. Bring to a boil for a few minutes, stirring often. Serve immediately (soup also freezes very well).